This review is based on the TV-14 version of the film. All thoughts below should be addressed as such as a review of the unedited version would be more negative. It’s time to look at an old classic. Just about everyone has heard of The Breakfast Club as it was a big deal back in the day. I have to say that my impression of it was a lot different from what we actually got. I thought its tone would be something similar to the teenage beach films I saw recently. A pretty light hearted comedy with dramatic characters and such as the characters eventually all became friends. Instead this story actually takes itself seriously. So much so that it ends up imploding although had I known the film’s rating I probably could have predicted that. The film starts with a group of teenagers heading to detention. In this school that means you have to go there on a Saturday and stay all day from 7 to 3. Each of the kids presumably did something wrong to be there and the parents aren’t happy. Vernon is heading this detention session and he runs a tough ship. He tells the kids that they can’t talk to each other and have to write a 1000 word paper talking about who they are. He heads off and one of the kids (John) starts to cause a lot of trouble. The other kids are annoyed, but after a while they begin to jump in. With all of these bad seeds hanging around each other, will they find out that there is more to each of them than meets the eye? Naturally with a plot like this you’re expecting every character to have some issues and that’s exactly what happens here. All of the characters have done something wrong or at least have negative traits and the film makes sure that none of them are even remotely likable by the end. I can’t say that I was a fan of the writing as the dialogue is pretty bad. A lot of language is constantly thrown around but the channel did a good job adding air bubbles and some dialogue inserted over the scenes. Still, that’s not a credit I can give to the writer. None of the characters are remotely likable as I mentioned earlier as well so that’s a problem. As Claire even points out they tend to have the same discussion multiple times and they sure pick on her quite a bit. None of the students are all that tough either and start to break down in tears upon reliving their history. By the end of the film they’ve all spilled their secrets and Monday is going to be very awkward. As this is an 80’s film we do get some songs, but not as much as you might expect. The final song is certainly iconic and I suppose the others are reasonable at best, but they won’t leave much of an impression. The 80’s song used in Infinity War has more heart than the rest of these songs put together and that movie didn’t even come out in this era. All right, lets talk about the characters as there is a lot to unpack here. We’ll start with the pesky grownups. Vernon is the teacher in charge and he doesn’t like the teenagers. In his defense they all appear to be jerks, but he doesn’t do anything to help that. He slowly starts to crack by the end to the point where he threatens and blackmails one of the kids. Then he starts looking through private files where he is caught by the custodian and blackmailed further. He’s definitely the main antagonist. Carl is a little more nuanced and at least he’s a fun character to have around. I was glad that he got the $50 from the teacher and also made him give up the lunch. It’s always good to have a character like that here to spice things up. John is the biggest delinquent of the bunch. Unlike the others he is a repeat offender and has been to detention many times. He has a very rough home situation which has been a bad influence on him. John pays the experience forward and tends to act like a jerk to get attention. Of course his origin is pretty sad, but he’s still a terrible character in the modern scenes and goes too far with the jokes. He’s just too far gone. Then we have Claire who has some ego problems and doesn’t like being associated with the others. Her romance plot is handled terribly and unfortunately you can see it from a mile away. She is considerably better than John, but still not a good character. Then we have Andrew who starts out pretty reasonably. He tells John to stop bullying Claire and when the guy doesn’t Andrew puts him into the ground. He starts to falter from there as we learn why he is in detention and it’s definitely a pretty bad reason. Then he succumbs to the drugs like the rest of the students and by that point he was doomed. Drugs ruined all of the characters, but even without that scene most of them would have been doomed. Brian is the smart member of the group, but as he is seen as a bit of a nerd he isn’t usually in the same social circles at the others. Everyone tends to blow up at him at some point or another even though he doesn’t typically notice it. Still, he has his own character traits that are pretty iffy like being a little too desperate to appear cool to the others. He loses his wallet pretty easily and has some dodgy stuff in there. Finally we have Allison who loves to lie. She constantly does so and acts rather off throughout the film. She just doesn’t seem to know how to interact with the others and so she does a lot of weird stuff to stand out. Throughout the film she seems to avoid the spotlight, but does weird things to place herself in it. As one character points out, she just wants attention. Unfortunately, most of her scenes are pretty bad and her weirdness goes too far. Her romance plot is also pretty rushed. The film gets a lot more wrong than it does right. The premise of the film is pretty interesting, but it has to be handled with care. There are so many good ways to handle it. Just have the characters not be as exaggeratedly bad and the movie would already be a lot better. I don’t think it needed to be quite as dark and dramatic as it was. Tone the film down to a PG and you’d probably be able to naturally get rid of most of its negatives. 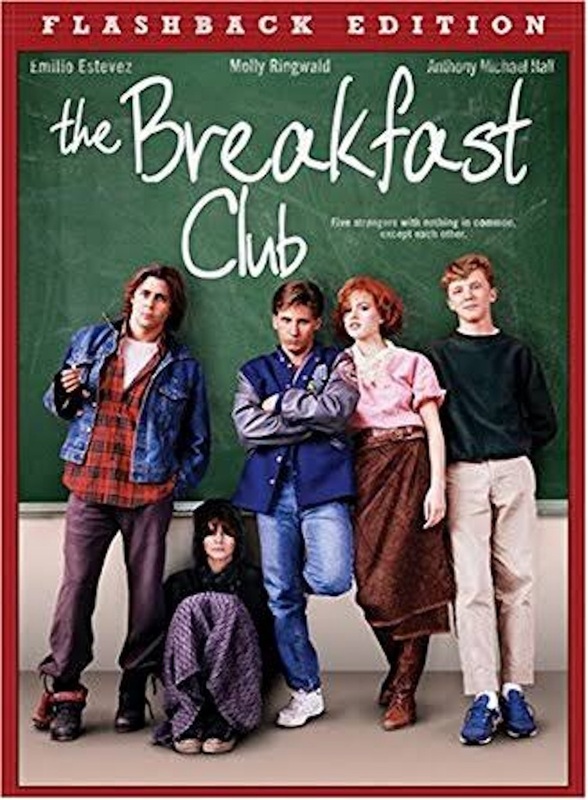 Overall, The Breakfast Club is definitely not what I was expecting and unfortunately this is in a negative way. The film is fairly short, but it still manages to drag on at times. You just can’t go far with a bad cast and poor writing. Even if the core concept is good, that simply isn’t enough. If you want a better story about school situations then Saved By The Bell is something you’d want to check it out. As it stands, I definitely fall into the camp of those who think that this film has not aged well. You’ll want to avoid it at all costs.